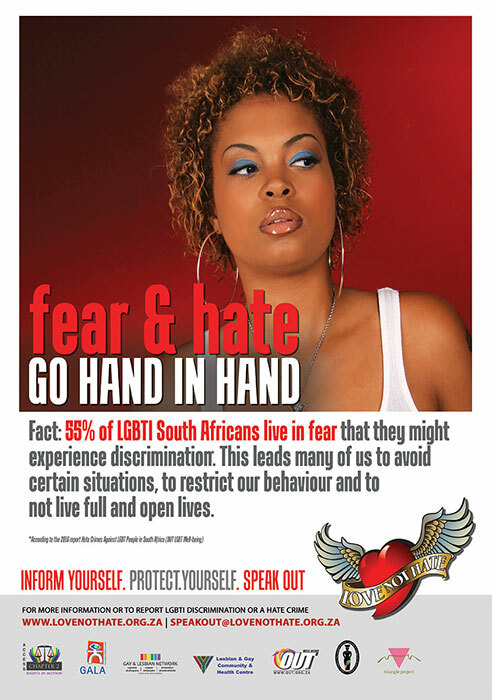 Fact: 55% of LGBTI South Africans live in fear that they might experience discrimination. * Regionally, those in the Eastern Cape, Free State and KwaZulu-Natal are more likely to fear discrimination. This fear leads many of us to avoid certain situations, to restrict our behaviour and to not live full and open lives.